The pride in her face! 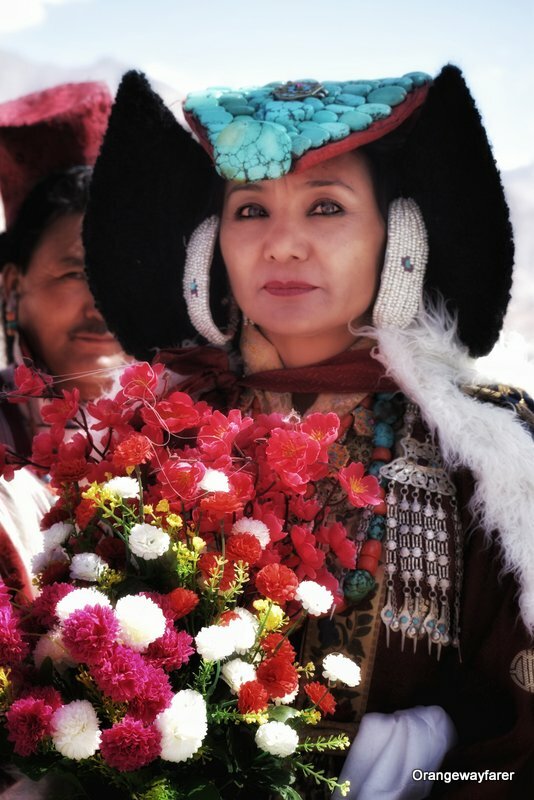 A Ladakhi lady in traditional dress and headgear, before the celebration of Naropa Festival began! I love region specific festivals since they bring you closest to the people. Despite extreme geographic condition set amid a bleak mountain landscape, Ladakh’s population is a fun loving as well as colorful lot! 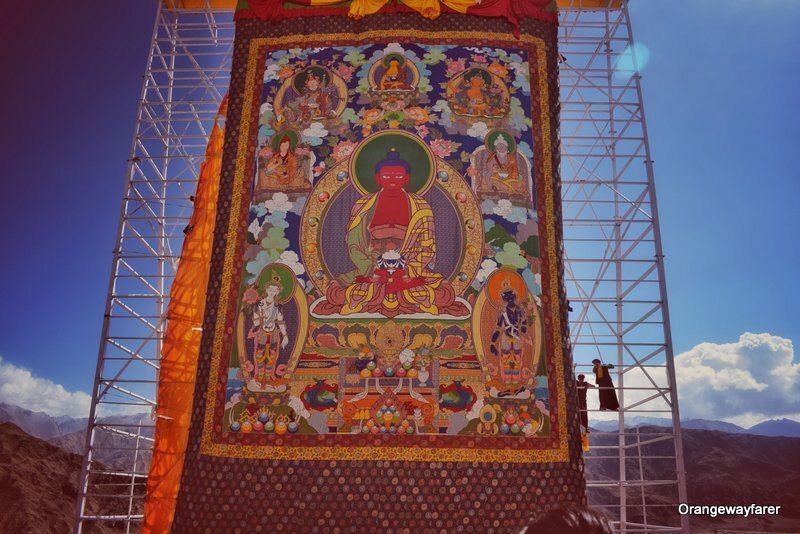 Naropa festival is an initiative by Live to Love organization under the Drukpa lineage of Buddhism. 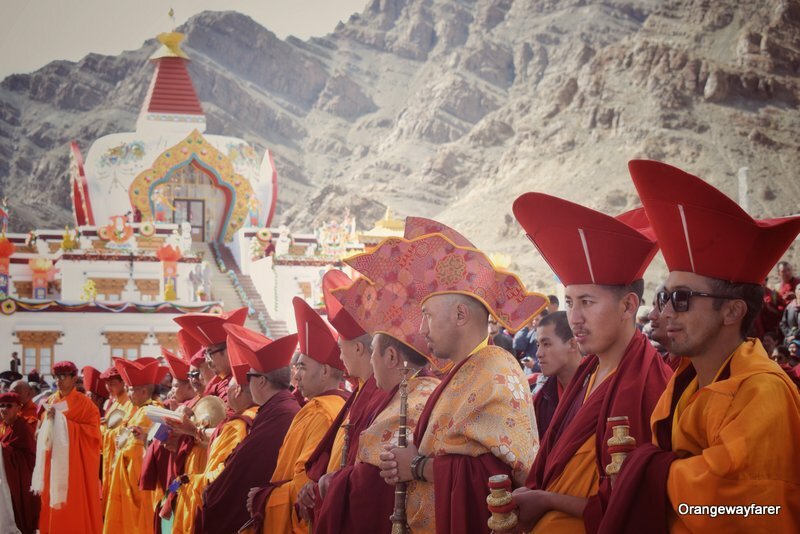 Also referred to as the Maha Kumbh of Himalaya, earlier Naropa festival would take place 12 years apart. The hand painted Tankha unfurled at the event. Faithfuls bow down in front of it. The Tankha depicts a smiling face of Buddha. It is hand-painted and the fabric material is fine silk. 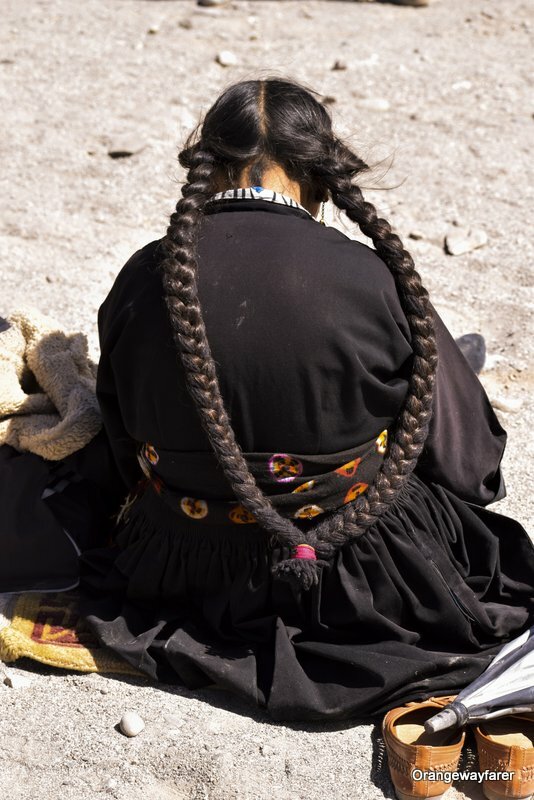 Remnants of the silk route trading in Central Asia? 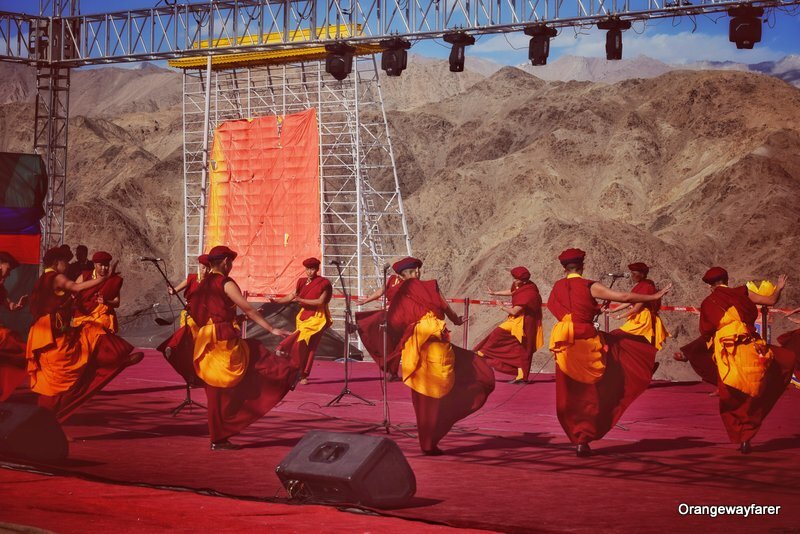 Also read, the nuances of Naropa Festival, Ladakh: the Kumbh mela of Himalaya! However, the recent proposal is to celebrate the festival every year due to its wide acceptability among the locals as well as the tourists. Events at Naropa festival do not only confine to religious norms but also include celebrations with the Bollywood personalities, political delegates, media and thus very inclusive in nature. “It is better to conquer yourself than to win a thousand battles” is the motto among Buddhist followers. 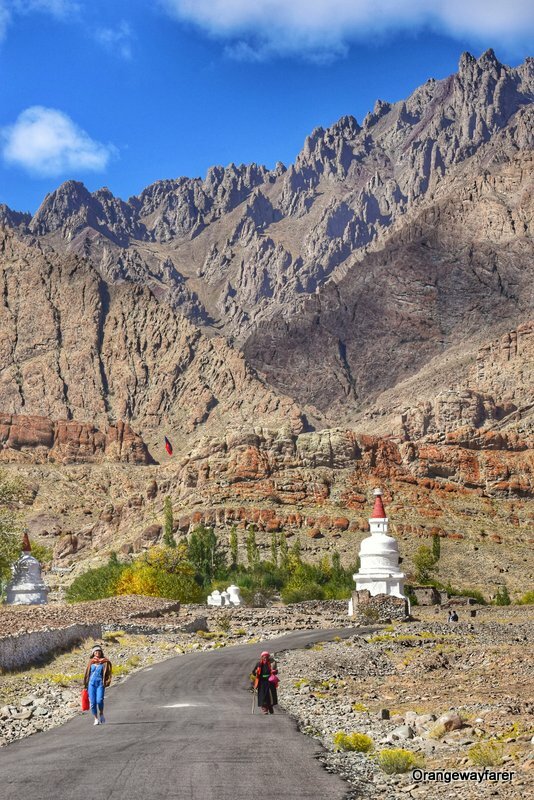 I suppose, peace prevails in Ladakh, even after the land being situated amid China and Kashmir, many thanks to the peaceful teachings of the religion. 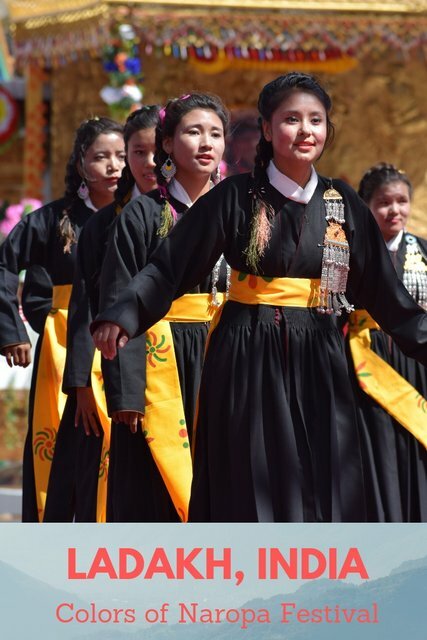 What intrigued me the most about Naropa festival was, even after being held in Ladakh, the Indian state of Jammu Kashmir, infamous for turbulent politics, never there was a threat of security. Army came but not to guard us but to take part in music extravaganza at night! I remember visiting a Bodo village in Assam during Manas Spring Festival and sleeping in a camp under the close guard of Military! Indian border areas are extremely sensitive. 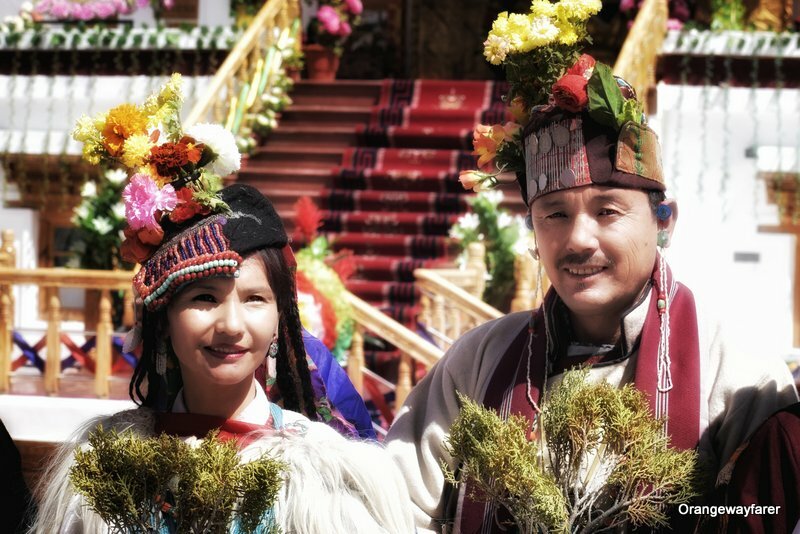 A beautiful couple dressed up in traditional attire of ladakh and ready to perform at Naropa festival! 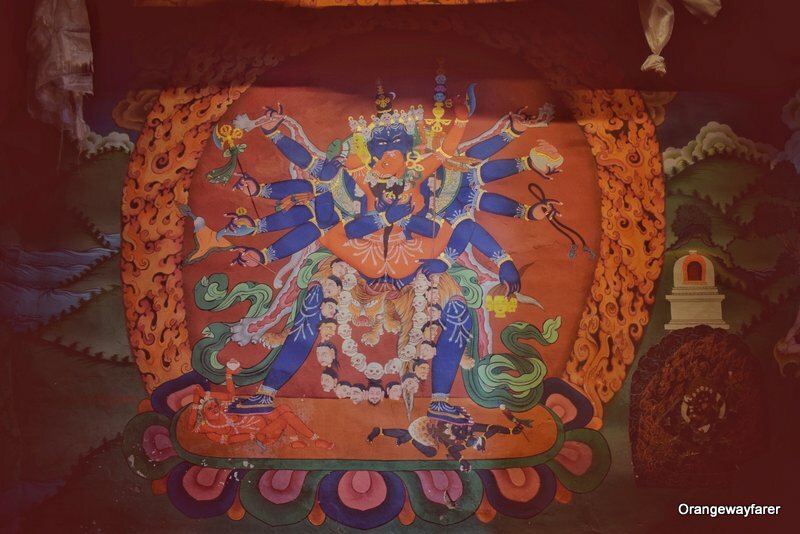 Naropa festival is celebrated for a week. The practice begins from months back. 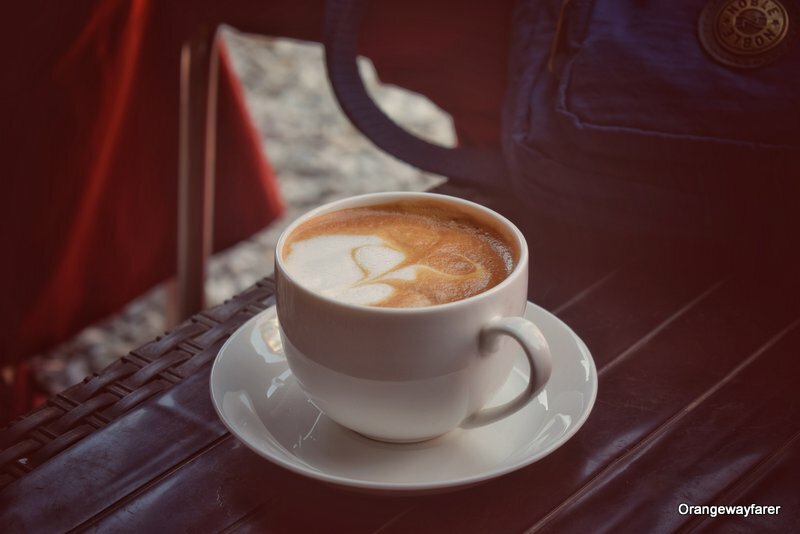 In 2018, it took place during early September. 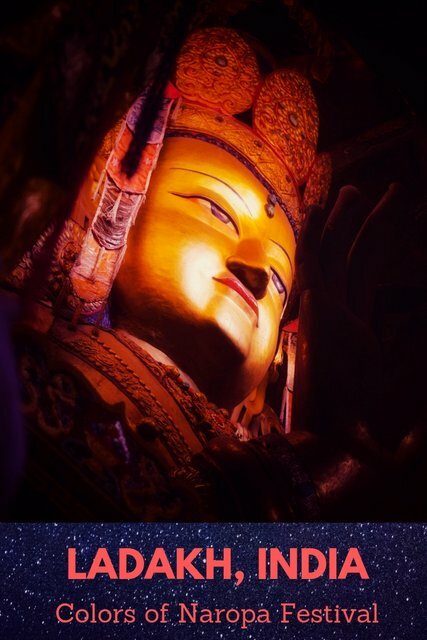 It is a festival to commemorate Naropa, the Scholar’s attainment of wisdom. 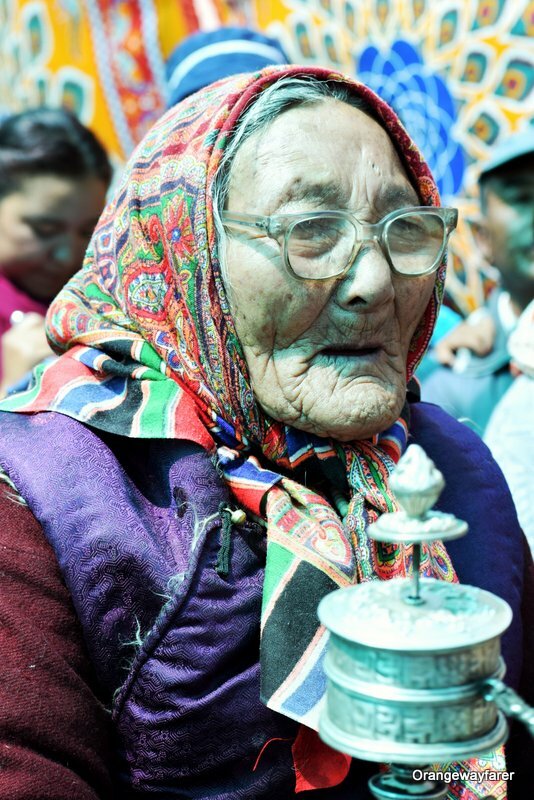 Many religious relics, including the bone ornaments bestowed by the Dakini is kept on display for public. 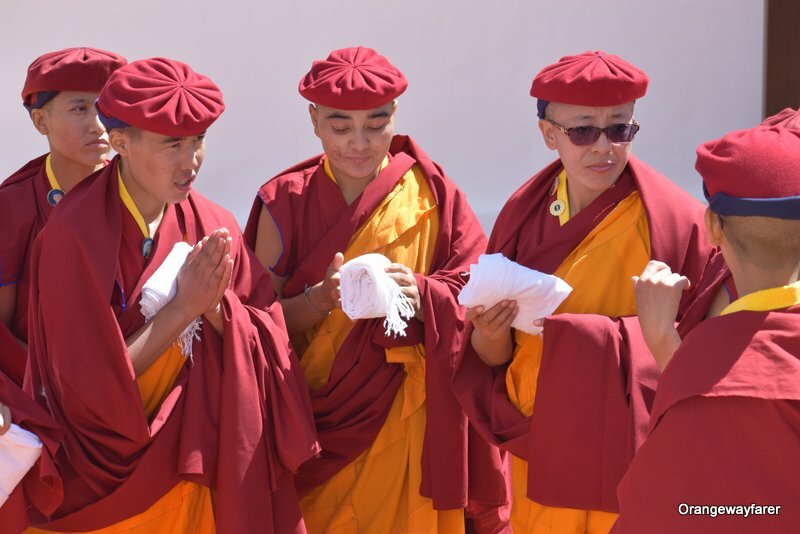 Kung fu Nuns perform at Naropa Festival. 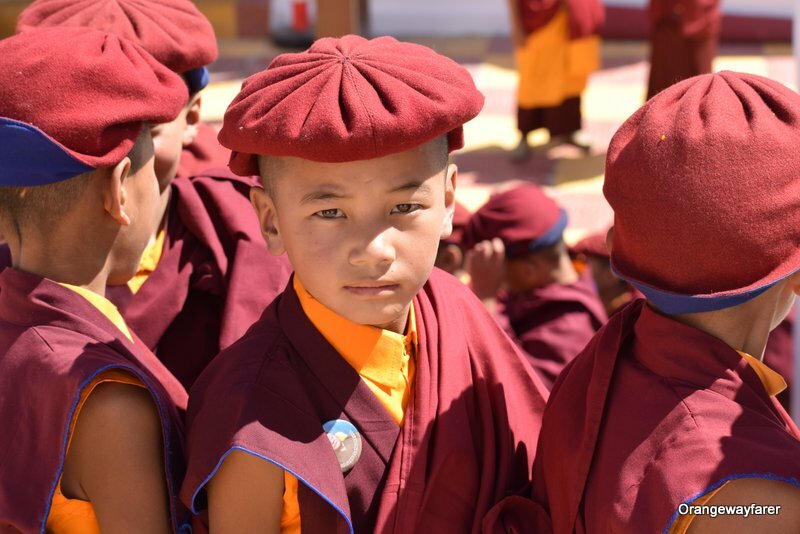 Kung fu Nuns are trained at Druk AMitabha Mountain nunnery at Nepal. They are the champion at Physical fitness, self defense and environment friendly living ambassadorship! The annual “Eco Pad Yatra” is held by them where the Kung fu nuns teach people about fragile eco system of Himalaya and a menace named plastic! 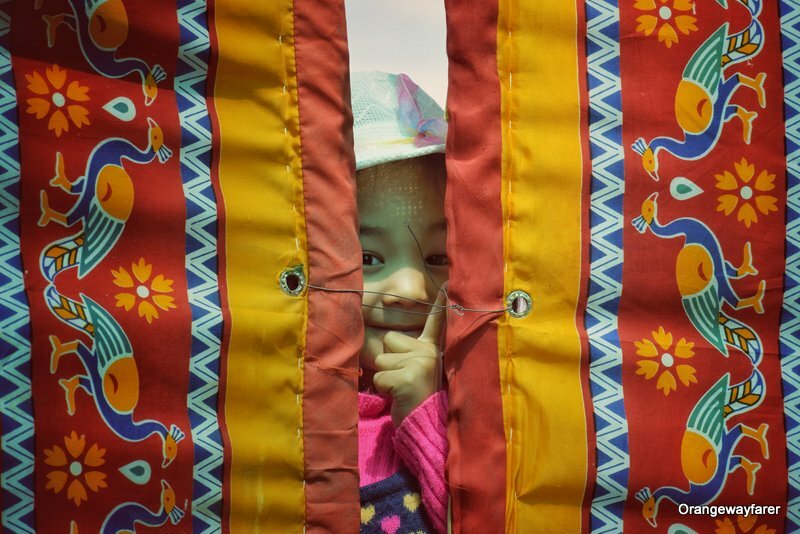 A child engages in hide and seek game beyond the enclosure. It is a child that will never succumb to man-made boundaries and find joys in little things as a camera click, no? 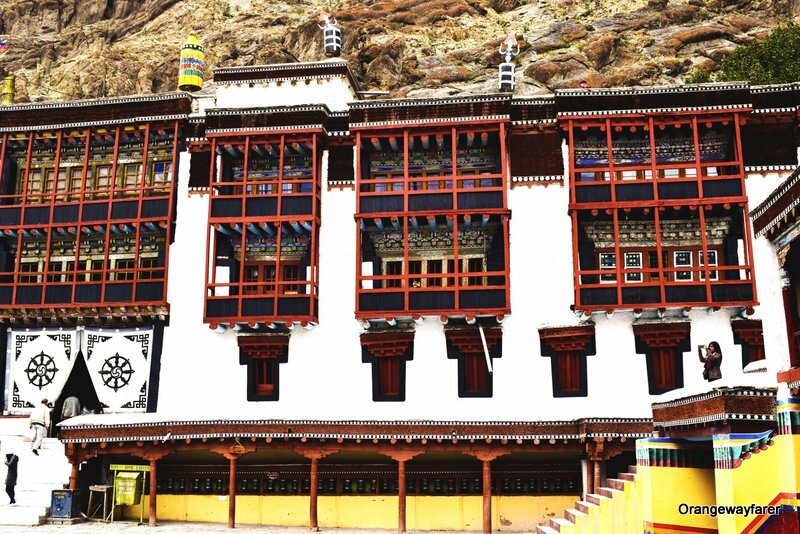 Naro Photang, the venue of Naropa Festival! 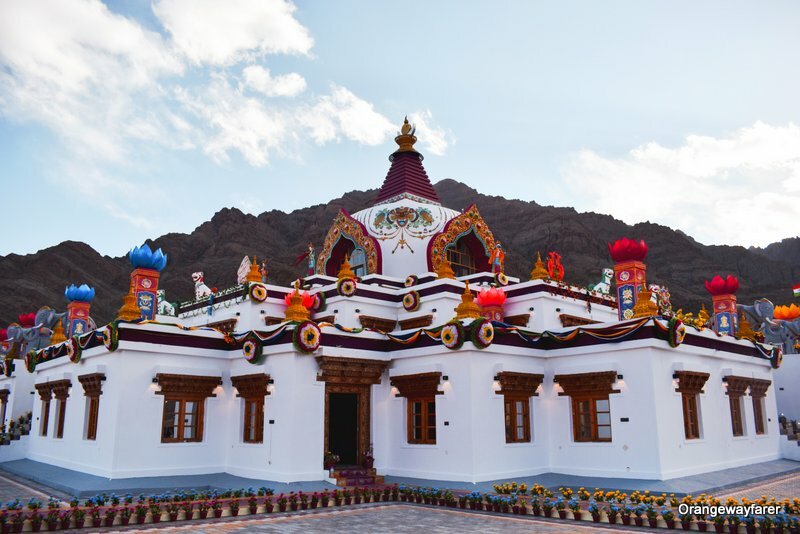 It is situated at close proximity to Hemis monastery! 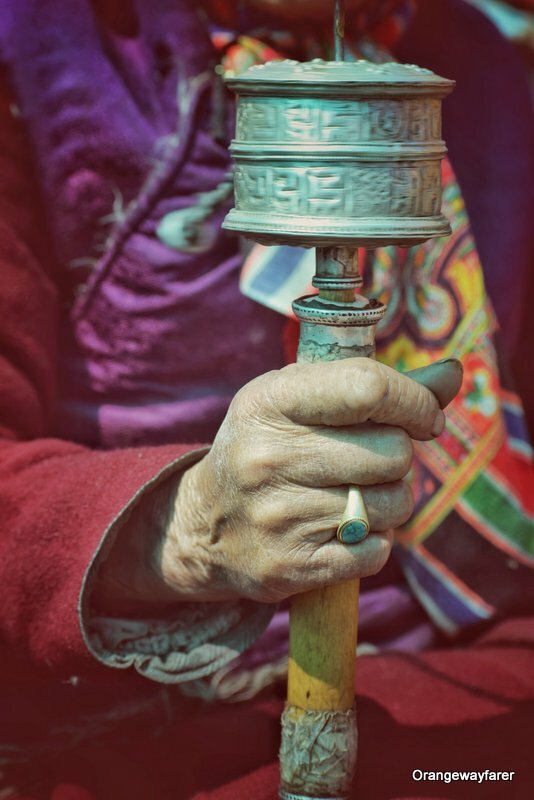 The Dharmajantra (a Buddhist prayer wheel) and the turquoise stone jewelry! The wrinkles tell many tales! 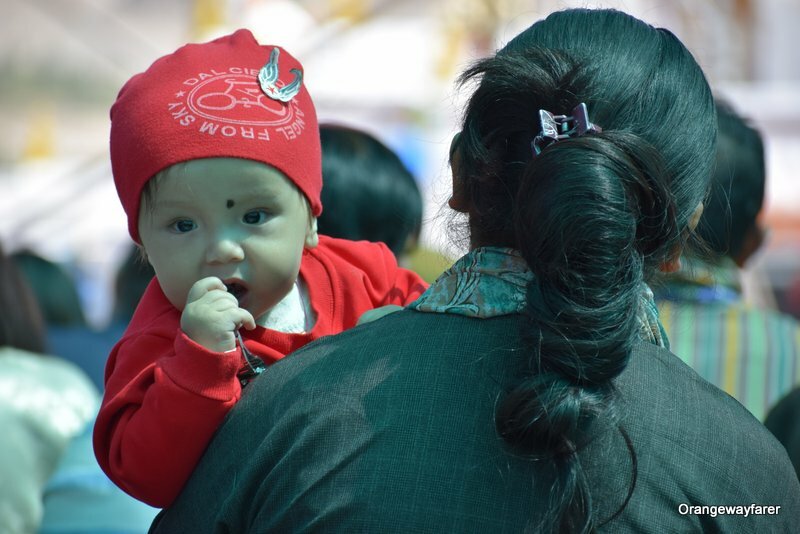 Naropa Festival, where locals and tourists walk together! Thick braids. 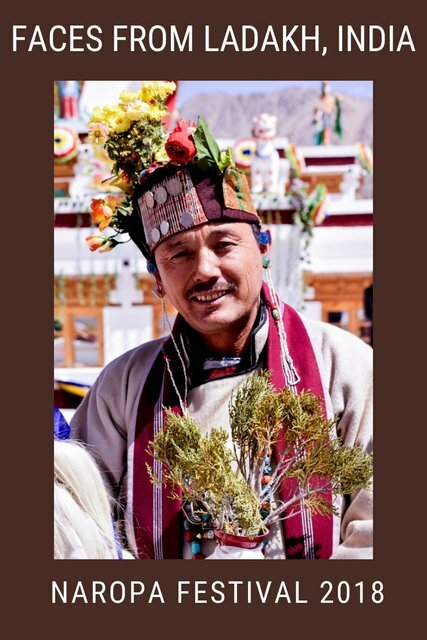 A very typical way of Ladakhi fashion statement! Holding the white piece of cloth, considered to be a blessing.